Page, Ariz., Lodge No. 2498 used an Elks National Foundation Gratitude Grant to offer local youth access to a whole new game. 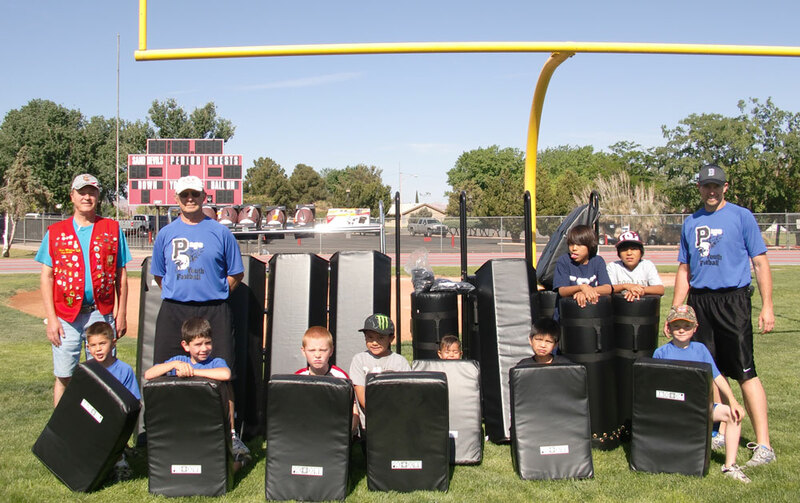 Elks partnered with Page Youth Football to start the first youth football league the community has had in years. “Keeping youth involved with healthy activities helps them grow into better citizens,” says Project Manager Russ Madsen. Here, the children pose with some of their new equipment. The Elks National Foundation helps Lodges serve their communities by offering $2,000 Gratitude Grants. Lodges are eligible to apply for Gratitude Grants after meeting the National President’s per-capita goal for Foundation giving. To find out more about Gratitude Grants and the Community Investments Program, visit www.elks.org/enf/community.